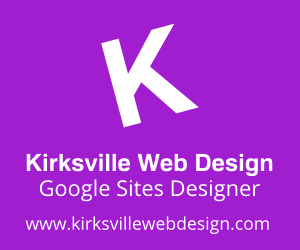 +Kyle Horst here with +Kirksville Web Design for another update to Google Sites, following along the most recent major update to Colors, Fonts, and Themes. So this was the problem, in the horizontal navigation bar you have links, but they are created really close together. It makes the navigation become too crowded too quickly. Now, we can modify the margins or padding around horizontal navigation links through the Themes, Colors, and Fonts panel. It used to be the case that you could add spacers in the horizontal navigation bar, by using Add URL, hitting the space bar for the Title of the Link and pasting a bogus URL. You were given about 10 pixels of space then, with no adverse effect. I believe this is still only available through Rapid Release if you are running Google Apps for Business. We are given three options in Alignment: Left, Center, Right. We are given 1 option for numerals of seemingly infinite number of digits for Margin. Note: The margin will affect the left and right margins on all links, so the first link may not be flush with your content area width. Google Sites is getting regular love! Well, if twice in a couple weeks is regular. Notice that these are aesthetic or design changes. Therefore, design and how their product looks is important. Google Sites is becoming an even better option for public websites. Not only that, but it puts ugly internal CMS to shame, because they can be well-branded, beautifully designed company sites.